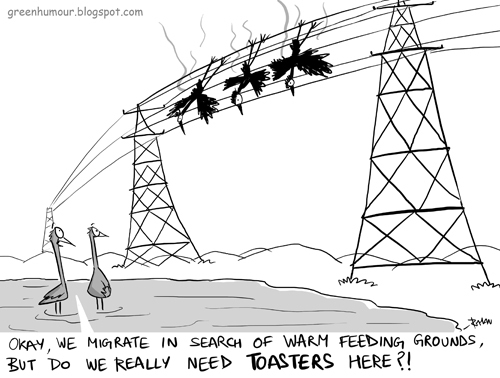 A cartoon I drew following the news of 400 flamingos being electrocuted in Gujarat in November 2011. Concrete measures need to taken asap if the migrants are to be given a chance to have a safe stay. 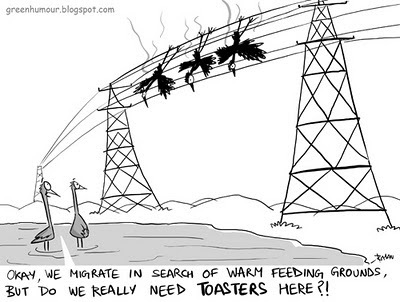 Electrocution also claims the lives of thousands of raptors, bats and other creatures every year.